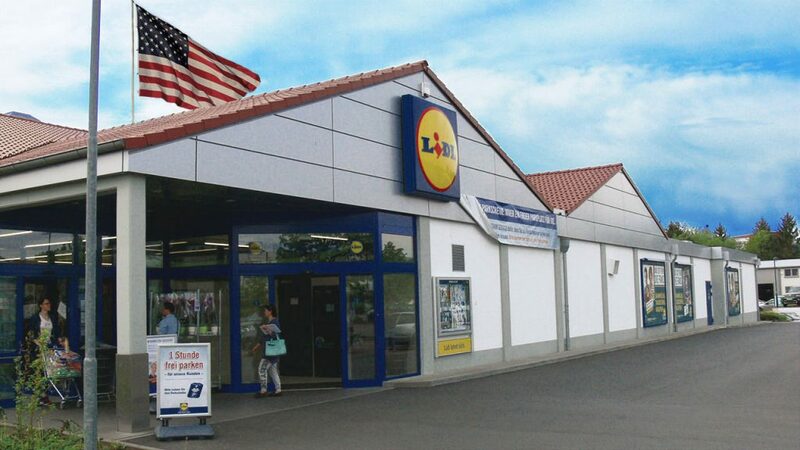 According to “The Viriginain-Pilot” Lidl has begun its work on one of the stores bound to be part of the first wave of Lidl locations to open in the US. The grocery store of the German discounter will be built in Virginia Beach. Given the current job openings, most of which are in the Washington area, and requirements for new building sites at lidl.com, Lidl is planning to launch US operations on the east coast. Following how Lidl recently launched in Lithuania it is safe to assume that we will see a great influx of job postings and building initiatives about 1-2 years prior to the first store openings. One of the major success factors for German discounters, supermarkets and retailers are tightly knit and highly efficient distribution networks. Lidl is already operating at least two regional distribution centers one in Alamance County (according to current job listings) and the other in Arlington County. Looking at how Lidl develops and expands the logistics network will clearly indicate where the new stores are going to be located. According to a press release by Governor McAuliffe in 2015 Lidl’s US headquarters will be located in Maryland and will cost around $77m, creating 500 jobs. This entry was posted in discounter, retail and tagged Lidl, USA.